Have you seen enamel Accents? I can't wait to get a chance to play with these myself as I think they give an amazing effect and will be brilliant for, among other things, mens cards. They work like liquid pearls but instead of giving a pearly effect they give a shiny enamel look and can be use to give a great bit of dimension to your projects. Our challenge is still going on so there is still time to enter for a chance to win a £10 gift voucher that you could use to buy some of these. There is a new shop on the block and so we needed a new challenge blog!! If you like to win prizes then you are in the right place and if you would like to join a great fun DT then we would love you to join our little group. To try out for the DT please put DT by your name when you enter and in your post show us some of the makes you are most proud of as well as one to fit for the challenge. You don't need to have any DT experience just a love of crafting. 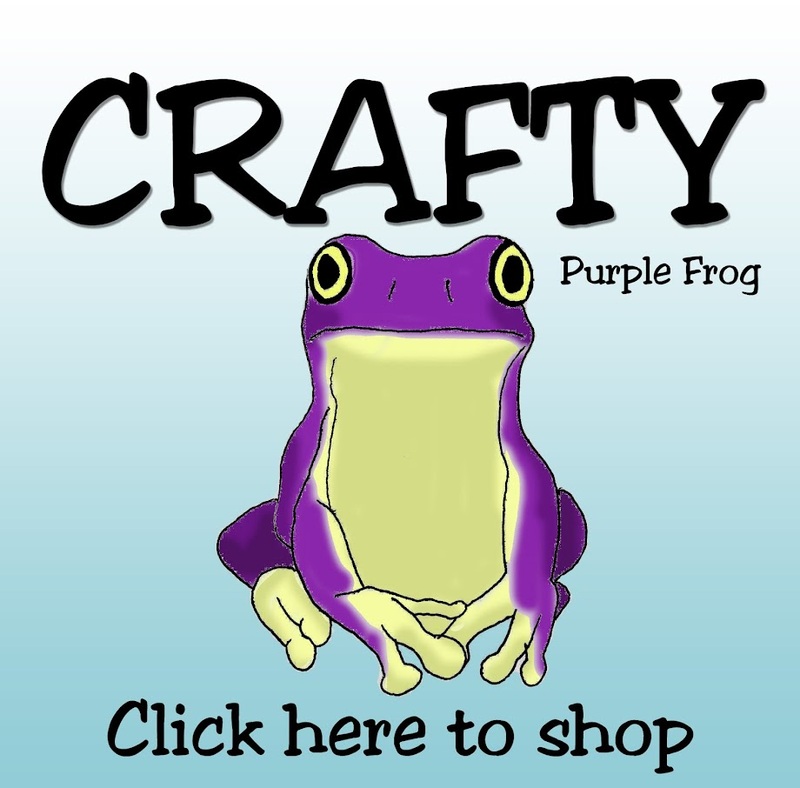 Please also link back to the Crafty Purple Frog shop and this challenge in your post. If you get chosen for the DT then you will need to make one project each month using things you can buy from the Crafty Purple Frog shop. You will need to add links to where the items can be brought in the shop to your posts and comment on some of the people who enter the challenge each month. As a thank you for your work you will get 20% off your purchases in the shop and I will send you out some freebies as well to get you started. The first challenge is to celebrate the magic of Christmas and make something with a winter or Christmas theme. The winner will be picked at random and will get a £10 voucher to spend in the Crafty Purple frog shop. 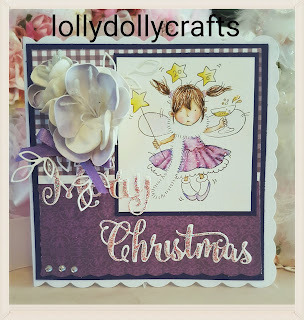 For this card I have used a C6 card, Let it snow die cut, It's snowing embossing folder and collall glue to stick it all together. The adorable little girl image is a digi stamp from the amazing Digital pencil. I have some of her stamps arriving on friday so keep an eye on the shop if you want to get your hands on them. For this next card I used a 5x7 card, Festive greeting die that I cut twice once in navy card and then again in gold card, some clear gems, It's snowing embossing folder, I made the sentiment stand out from the card by using 3D glue gel and stuck the rest down with collall glue. For this card I have again used a digi stamp from digital pencil that I coloured with promarkers. 5x5 scalloped card blank, First editions Christmas wishes 6x6 paper, red pearls and I have made the image stand out a bit more with 3D glue gel. I put the rest together with collall glue. Image is called 'Rudolf & Friends' & is from the Christmas in Moonbeam Meadow collection. I have used the 'It's Snowing' embossing folder by Leonie Pujol. With Collall all purpose glue to stick everything together. The image was stamped onto Rangers Water Colour Paper this paper is amazing smooth on one side for fab blending. I used Stazon Jet Black ink to stamp the image and coloured with Distress markers. I used my fav glue Collall All purpose glue to adhere the papers. 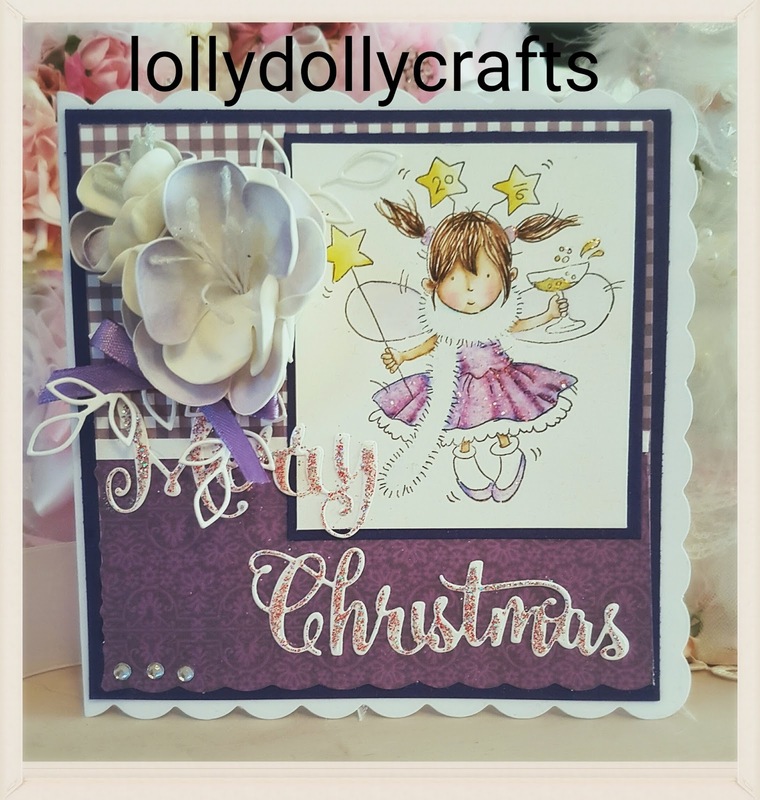 To decorate the sentiment I used the amazing Wow glitter embossing powder called Champers and then to highlight her dress and stars I used stickles icicle. then to finish off I use some gems from Dovecraft Bright Gemstones. 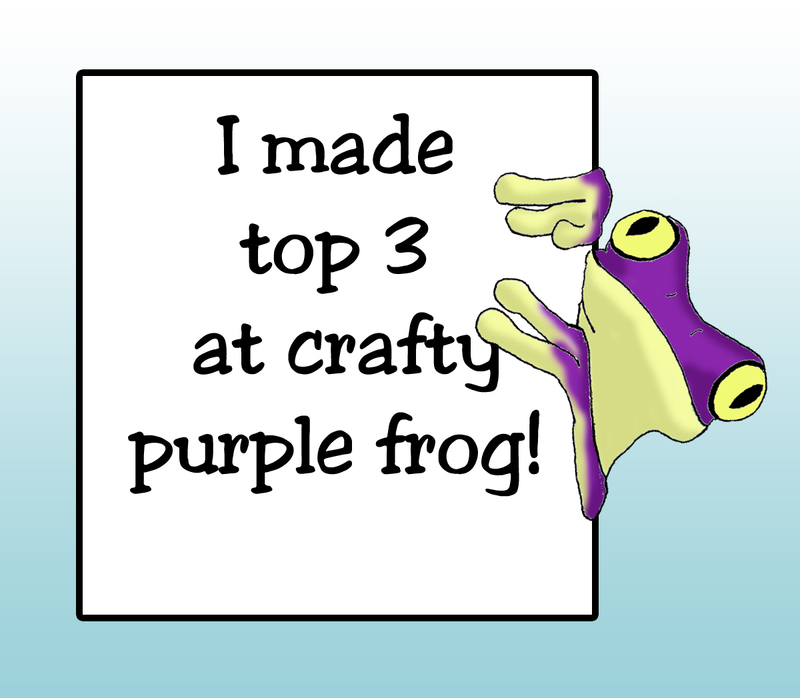 Well that is the first official Crafty Purple frog getaway over and it felt like it went so quickly. All the planning and preparation was very worth it and we all shared our inspiration and tips with each other. Great food, brilliant company and crafting all weekend. What could be better?? If you would be interested in joining us for the next one just get in touch.